Before you...donate, sell, trash, yard sale, flea market, or give it away...CONTACT US! It's FREE! Did you inherit an estate and now stuck on what the next step is? Do you have years worth of accumulated items and want to downsize? Do you have a collection you want to sell? Are you trying to clean house? We buy just about anything old, antique, collectible, gold, silver, toys, jewelry, military, mainly old items excluding furniture. Not a "Did you know" but "DO YOU KNOW"? Do you know what treasures are hidden in your house, attic, basement, shed, or garage? We would like to help you explore. 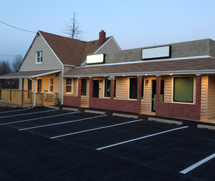 Below is just a sample of what we helped some customers realize has value and we put cash in their hands. 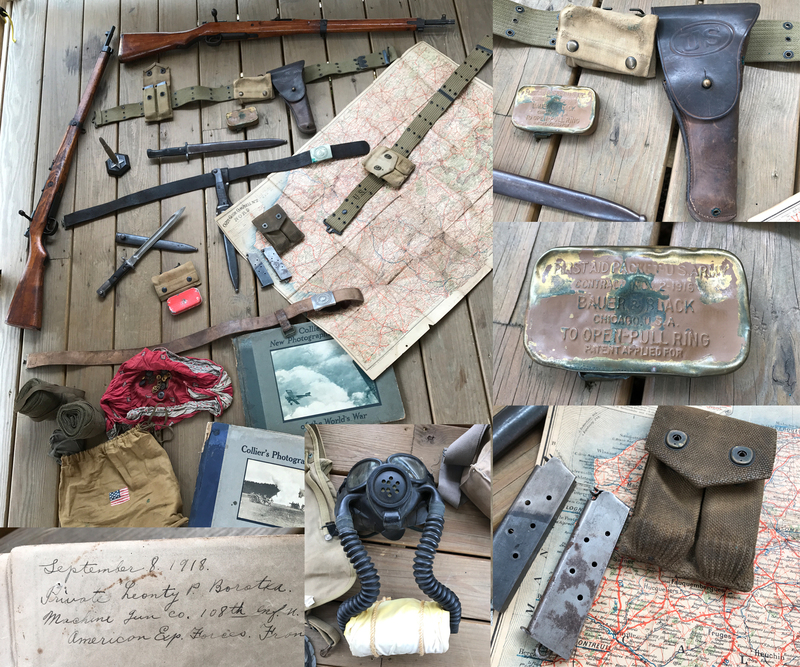 WW1 military items from USA and France and WW2 items from USA, Germany, and Japan. Shown on the right is a 1916 WW1 first aid kit that has never been opened. The map is French WW1 signed September 8th 1918 Machine Gun Co 108th USA. The rifles are WW2 Japanese and a great reminder of how deadly war is. History is all around us. 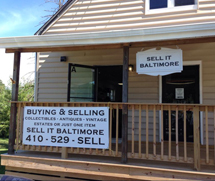 Let "SELL IT BALTIMORE" help you turn items into cash. No events scheduled at this time. All events are posted on our Facebook page.